It's pink , coarse-grained granite , oval shaped up somewhat tapering granite boulder . As the stone is lying in Karklynė , a wet place, it is apparently a big part of it drowning in the mud.Legend says that during Anykščiai Marčiupis flowing stream the stone from which the water fell drowned a poor violinist and his fiancee bajoraitė . 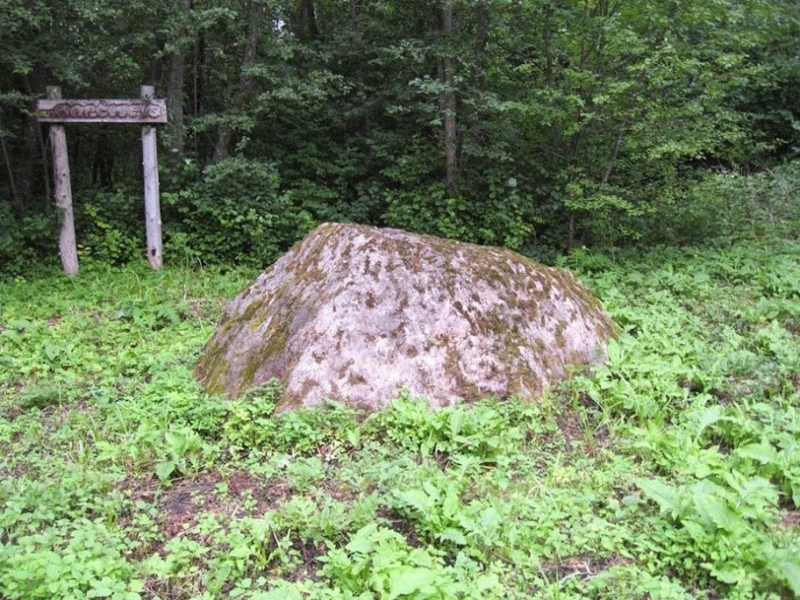 In 2000, Stone entered the Republic of Lithuania immovable cultural treasures register ( mythological places list).